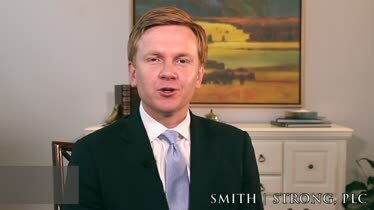 Prenuptial Agreements Attorney Van Smith discusses the value in securing a prenuptial agreement prior to getting married. Call 804-325-1245 or 757-941-4298 for assistance. Posted on 04/27/2017 Why Are Post-Nuptial Agreements on the Rise in Virginia? Posted on 03/22/2017 Who Should Have a Prenuptial Agreement? Perhaps you remember the movie, "Intolerable Cruelty," where George Clooney, or "Miles Massey," has crafted the "iron-clad prenup." 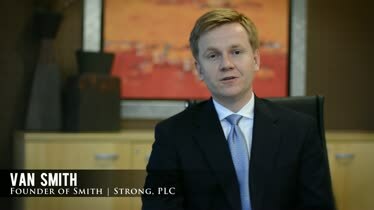 We'd like to think at Smith Strong that our Prenuptial Agreements, finely tuned for our more sophisticated and savvy clients' needs, are iron-clad, too. 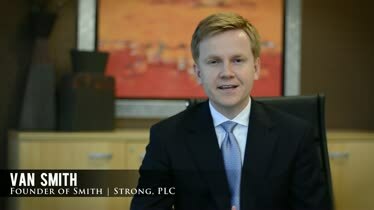 Unfortunately, though, while our "prenups are iron-clad," I (attorney Van Smith) don't look like George Clooney. 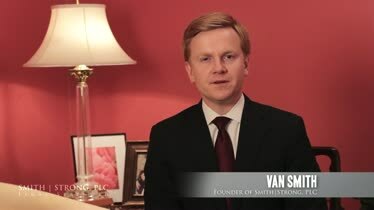 "But Van," you're probably thinking, "I hear you. I know I should get a prenuptial agreement, but I don't want to have that awkward conversation right before my wedding." Business Owner & Entrepreneur: He or she has developed a veritable cash machine. People are counting on him or her for their employment--not just employees, but investors too. They simply can't risk losing half of their company in the event things head south in a few years. Business people like to manage risk. A Prenuptial Agreement is risk containment. They reassure investors, partners, and employees of privately held companies. Second-Marriage, With Children from the First Marriage: This isn't their first rodeo. And this time, children from the first marriage are counting on them to protect their estate--after all they went through with the dissolution of the first marriage, aren't they entitled to a little financial security? Prenuptial Agreements provide security to your children, too. Long-Term, Live-in Boyfriend or Girlfriend Simply Want to Make Things "Official": They've lived together for over 5 years. Their finances have always been separately maintained, and will continue to be separate. They simply want to make their relationship "official." But they want to make sure that this romantic gesture doesn't come back later to imply financial dependency and support. Protection Against Spousal Support Awards: "Maintaining their lifestyle in the manner they have become accustomed," in other words, spousal support, alimony--you paying them. The longer you're married, the longer spousal support could last. If this concerns you, why not take action--protect yourself with a prenuptial agreement. "Ok Van, I get it. So what should I do next?," you're thinking. STEP 1: Call our office at 804.325.1245 or 757.941.4298 to schedule an Initial Consultation. 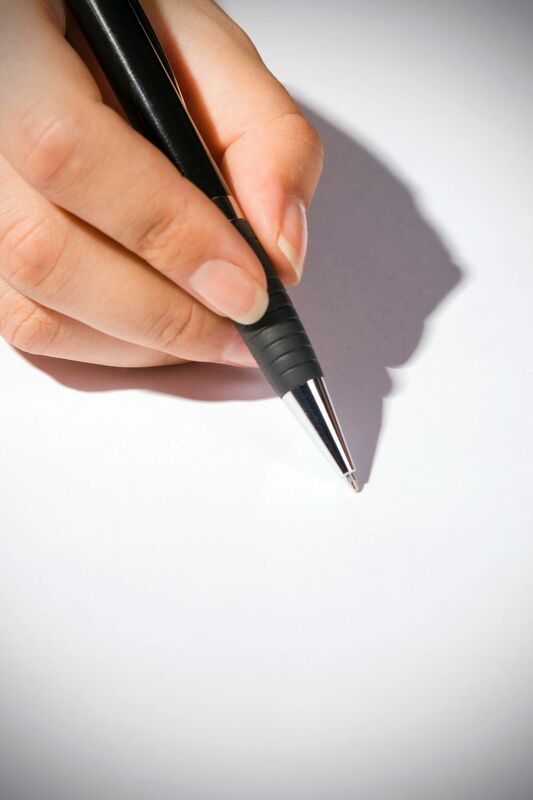 STEP 2: Gather on one-page a comprehensive list of your assets, investments and properties, to review with us. STEP 3: Review your specific situation in detail, to ensure iron-clad protection of your assets both now and in the future (and theirs too!). It can be. We can also meet with your fiance to ensure their needs and desires are heard and accommodated in the agreement--if need be. Consider us your trusted legal advisor. We'll meet your need to ensure this matter is taken care of--so you can move forward with your wedding day without worry, concern or regret later. PS: There is no obligation after that first meeting with us. But you deserve to think through your situation before rushing into the next chapter of your life. Call our firm at 804.325.1245 or 757.941.4298 to schedule an appointment with us--when you're ready to have that conversation. Why Are Post-Nuptial Agreements On The Rise In Virginia? Who Should Have a Prenuptial Agreement? The Prenuptial Agreement--A Must for the Wedding Registry? Is There Cause for a Social Media Clause? What is Included in a Prenuptial Agreement?